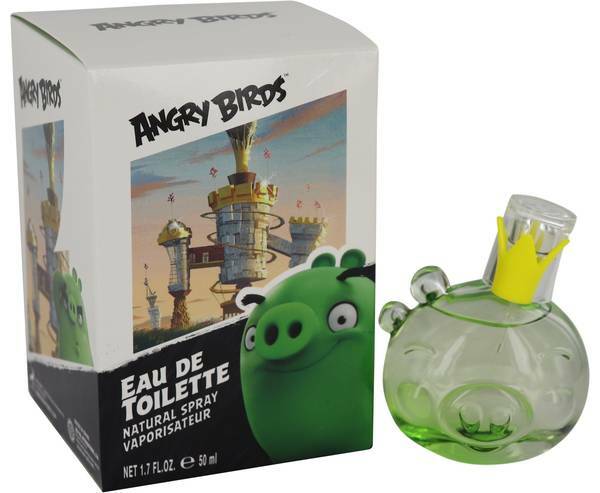 Angry Birds King Pig Perfume by Air Val International, Angry Birds The Pigs is a fun, novelty fragrance for both men and women released in 2013 . 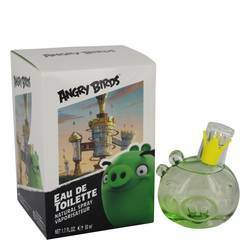 The overall effect of the scent is fresh, sweet and green, with a kick of spiciness. 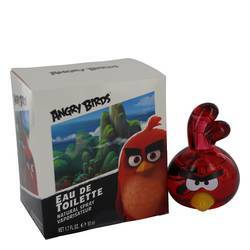 The scent is playfully youthful, a great choice as a starter scent for children. Top notes of lavender, bergamot and white tea create an aromatic aspect to the fragrance. Pear, lemon and ginger add a zinging fruitiness that gives this a powerful opening. Middle notes Read More Read More of sage, jasmine, ylang ylang and nutmeg create a combination of heady floral and spice. Base notes of earthy amber, warm vanilla, musk and juicy peach bring the scent to a close. The drydown is a sweet and earthy combination perfect for everyday wear. Air Val International was founded in Spain in 1979, creating perfumes and colognes targeted at children. It has been collaborating with Disney since its Mickey and Minnie themed fragrances released in 1981. Since 1979, it has expanded to produce over 300 scents and hygiene products for teenagers and children. All products are original, authentic name brands. We do not sell knockoffs or imitations.